Review: While travelling in continental Europe, Iris Henderson realizes that Miss Froy has disappeared from the train. The only problem is that Iris Henderson is the only person on the train to remember Miss Froy. The question is who can attest that Miss Froy was ever on that trip? Based on a novel by Ethel Lina White called The Wheel Spins. This is a masterpiece from one of the greatest directors. 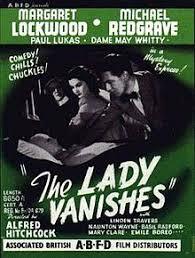 This sublime comedy thriller was co-scripted by Alma Reville (Mrs Hitchcock), Frank Launder and Sidney Gilliat. It was this film that made Michael Redgrave a movie star with this break-out performance. Before starring in this film he was really a stage actor and was reluctant star in this film. Apparently I have heard that Michael Redgrave and Alfred Hitchcock never really met eye to eye with each other and that relations were not always great. Vivian Leigh apparently tested for a role that eventually went to Margaret Lockwood. Believe it or not but the film was shot almost entirely at Islington Studios in London. The scenery that the train passes is all rear projection. It is a very enjoyable film to watch.